Vacation. It just isn’t what it used to be. A revelry, a recovery, a joyous absence from all those nasty daily stresses! Vacation is just not what it used to be. We took a vacation to visit my family in Newfoundland – pretty much as far away from where we currently live as you can travel, and still be in Canada. 4.5 Hrs of time difference, 10 Hrs of flying time, 3.5 Hrs of driving time upon arrival.With two loud and active toddlers. I thought I would keep my running up while on vacation. I dreamt of the hills I would conquer, the runs I could squeeze in with my husband while my parents basked in all their Grandparenting Glory! Alas, I found myself incredibly exhausted but repeatedly waking in the middle of the night because my body is programmed to think that night on the East Coast is the middle of the day on the West Coast! 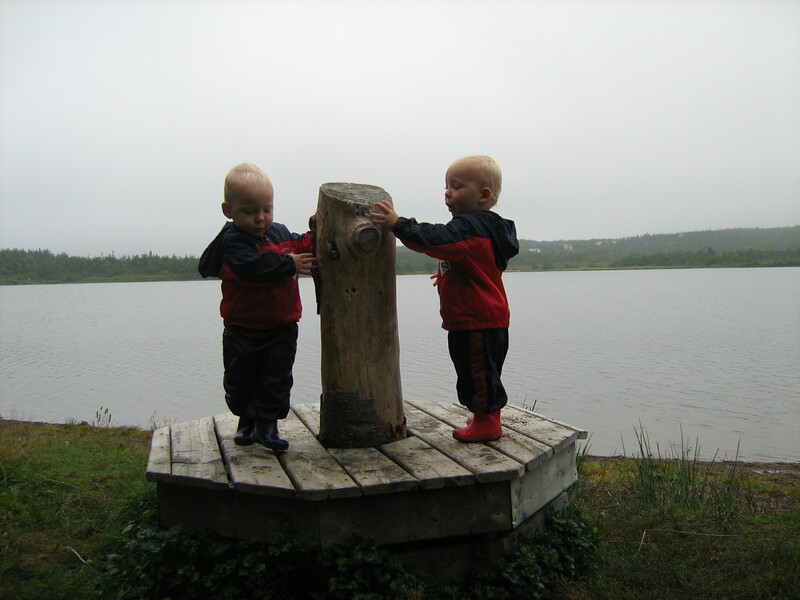 My children also caught this wonderful side-effect of traveling cross-country several days into our vacation – they would wake and play with each other for an hour or two at ungodly hours of the night. They are loud and excited when they wake and play during the night with each other. No one slept. Not even my parents. Not even those with ear plugs. So much for Grandparenting Glory. So much for conquering my hills! So much for running with my husband. Bye-bye vacation glory. Bye-bye sanity. But is it worth it? This two week hiatus from running has left me feeling tired and squishy. Tonight’s run lasted for a meager 20 minutes before I called it quits and headed to the shower. Ah yes, the vacation with children-it’s definitely not a vacation for the poor parents, but the kids sure have a great time! I hope you get your running form back quickly! !